De-clutter your rooms to make them appear more spacious, which is a big selling plus for buyers. Keep this in mind: Most buyers are shopping for a home that’s bigger than their current home. They need more space, but a cluttered home tells a buyer there’s not enough space. You may need to remove or store nearly 50 percent of everything in your home … including furniture! I can help you decide what needs to get packed up for your new home, and what can stay. Call me at (434) 660-9063 to request a free pre-listing assessment. If that repair job you started in 2005 is still unfinished … FINISH IT. Repair leaky faucets, running toilets, broken appliances, and anything else that needs fixing. If a buyer finds too many home improvement projects in your home, he’s likely to take a pass and move along to the next home that’s in tip-top shape. 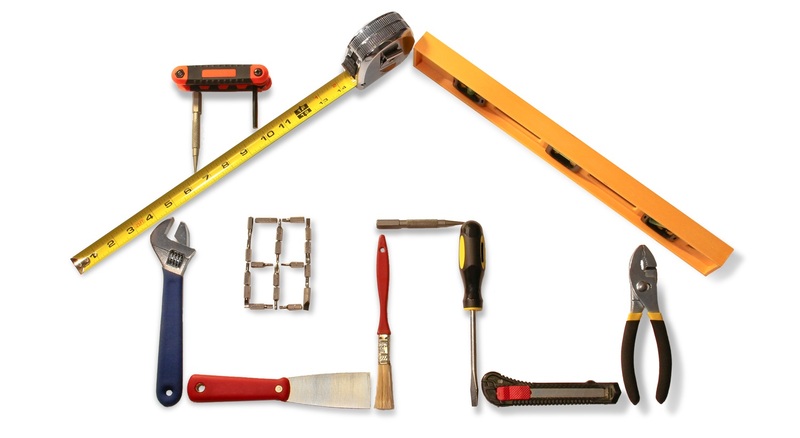 I offer FREE handyman service for all of my listings! Some home inspection issues – like leaky plumbing, bad wiring, a wet, moldy basement – can be so distasteful to a buyer that, if detected during a buyer inspection, they can kill the deal. Consider hiring a home inspector BEFORE you list your home to identify any of these hidden problems … then get them fixed! Paint not only the walls, but also the baseboards and trim with a neutral color. Doing it yourself will save money – but if you’re not a neat painter, hire a professional. If your home’s landscaping is swallowing up your home, get the hedge clippers out and start trimming! Add fresh mulch to the flower beds. The more unkempt your lawn and landscaping looks, the more it creates an impression that the inside is just as sloppy and overgrown. If you’ve got grubby little fingerprints on your walls, pet smells, bathroom scum build-up around the faucets and drain, then you need to deep clean your house from the inside out. Shampoo the carpets, scour and polish every surface in the kitchen and bathrooms, polish the furniture and wood floors. Remember that CLEAN SELLS! I offer FREE maid service for all of my listings. Call us at (434) 385-8568. If the front door needs painting, then paint it. Nothing says “goodbye” instead of “hello” like a front door with peeling paint, a dirty, stained front porch and a worn-out welcome mat. Enhance your porch or doorstep with pots or baskets of blooming flowers. This is an inviting and fragrant way to boost your curb appeal. Even if your basement is unfinished, clean it up and get rid of any items you don’t want to take to your new home. Clean away spider webs, paint and organize so that buyers can see you have a lot of storage space for their stuff. These two rooms are the biggest sellers, so don’t skimp when giving them a facelift. If your appliances are still harvest gold or avocado green, invest in new stainless steel appliances. And make sure all of your appliances have matching colors. New faucets and fixtures will give a modern feel. Also, consider updating your countertops to the buyer-favored granite or quartz. Nothing dates a home like tired old light fixtures from the 1950s. Polished brass is out, and brushed nickel and oiled bronze are in, so update your overhead fixtures with more contemporary ones. Once accomplished, be sure every lightbulb is high wattage and that they all work. Bright rooms sell! Call Patti Pierucci at (434) 660-9063 for a free pre-listing assessment of your home.